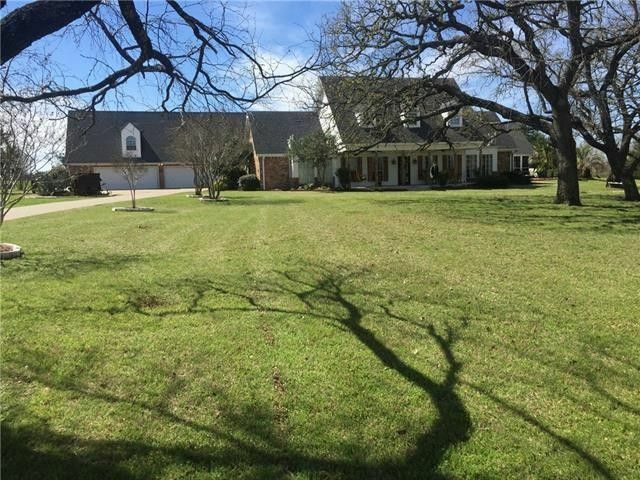 Major Reduction under priced, seller's having to relocate, Wonderful Country home, with beautiful oak trees, stocked fishing pond with a dock, automatic gate, in ground pool,4 car garage, with an apt above, with kitchen,living,bath and bedroom. Home features living with a WBFP, huge game room with a wet bar, Formal dining and breakfast nook. Fabulous master suite overlooking pool and pond, with a huge master closet and bath that has a jetted tub, his and her vanities, sep shower and bidet. Bring your family to see this great country home today. All info to be verified. Seller's are in process of painting and removing wall paper in both master bathrooms. Directions: From 175 E to Kaufman take 34 S to Scurry left on FM 148 S turn L, turn Left on Silver Creek turn L on Timber Trl to house on right.